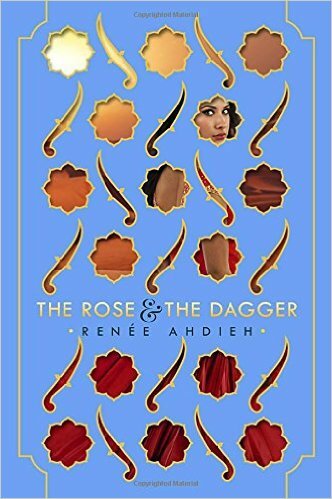 I loved The Wrath and The Dawn, and could not wait for this second book in The Wrath & The Dawn series by Renee Ahdieh! SUMMARY (from back): In a land on the brink of war, Shahrzad has been torn from the love of her husband Khalid, the Caliph of Khorasan. She once believed him a monster, but his secrets revealed a man tormented by guilt and a powerful curse—one that might keep them apart forever. Reunited with her family, who have taken refuge with enemies of Khalid, and Tariq, her childhood sweetheart, she should be happy. But Tariq now commands forces set on destroying Khalid’s empire. Shahrzad is almost a prisoner caught between loyalties to people she loves. But she refuses to be a pawn and devises a plan. In this book, I appreciated the author giving us more depth into some of the co-stars of the series: Tariq, Rahim as well as Despina. In fact, she gives us a great shock with Despina for I never expected to find out what I did about her. That, combined with another shock related to Khalid at the very end, made the book one I’d recommend reading. Despite my excitement at the release of this book, I have mixed feelings about this second installment. The Wrath and The Dawn posed an awesome conflict with a king forced to kill his wife at dawn every day until a curse had been fulfilled. The premise intrigued me and I thought the author’s narrative proved consistent and compelling with Shahrzad standing up and refusing to allow it to continue. This book, to me, lost the focus and pace. In this installment, the curse is addressed although we never truly find out (we are left to infer) that the curse is broken. I found the pace dragging for the first 25% of the book with characters doing a lot of sitting around, waiting. Only after that do we finally get the plot truly moving. I also found the end dissatisfying with how the author wrapped up the story with Shahrzad’s father, a conflict that I thought a lot more could have been done with. Initially there is the set up that the guy won’t let the book out of his sight, and all it takes is a daughter to spike his tea and that conflict is fixed. I was disappointed that the author chose not to make this into a much bigger problem before the book’s resolution. It could have been epic. But all we see is a weak character when he had so much potential. The end of his character arc wasn’t any better. I won’t say what exactly happens to him, but it certainly wasn’t epic. Previous Previous post: Do You Love YA Fiction?